The Bullvine is the dairy industry’s largest daily news source with more than 1,800,000 monthly readers and 33,000+ email subscribers. Klout recognizes the Bullvine as the most influential publication in the dairy industry. 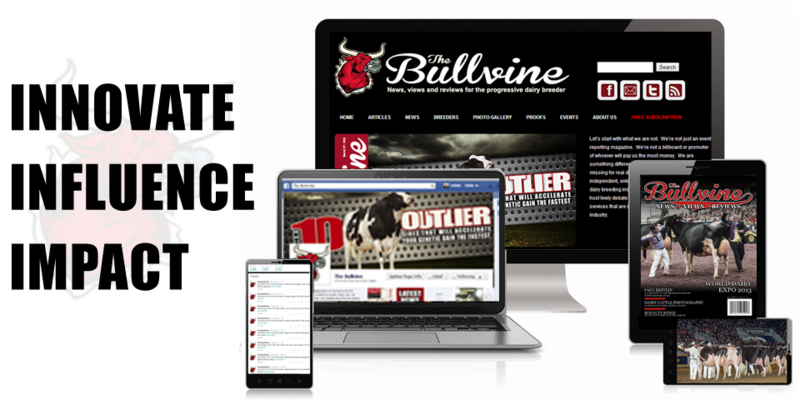 The Bullvine publishes original and detailed “how to” articles and reviews and biographies from the dairy industry. Our unparalleled editorial standards consistently make us one of the most widely shared and respected online publications. We offer multiple ways for brands to get front and center with our audience of influential dairy breeders, producers and industry professionals: email sponsorship, partner program, and event sponsorship. From simple performance programs to cutting-edge custom campaigns, partnering with us will ensure you achieve your objectives. Reach: We send emails to 7,000+ opted in and organically grown subscribers daily and over 33,000 in our weekly newsletter. Demographics: 73% of our subscribers are milk producers, 11% milk over 1,000 cows and over 60% are under the age of 40. Need content?If you don’t have the resources or time to create a compelling piece of content created to fuel your ad, let our team of experts help you create something fantastic. $.25/delivered e-mail* Bullvine created ad with Customer specifications that is e-mailed to our subscriber database. No Limit to the amount of links. For select sponsors, we offer an exclusive opportunity to be in front of the world’s largest social media and digital marketing audience as a recommended provider. Partners must meet our selection criteria, and availability is limited. Seen by thousands of dairy producers and industry professionals monthly, the Bullvine’s webinar series provides you the opportunity to help educate and inform. For brands looking to develop deep relationships with influential producers and industry professionals involved in the dairy business, this event is a great fit. 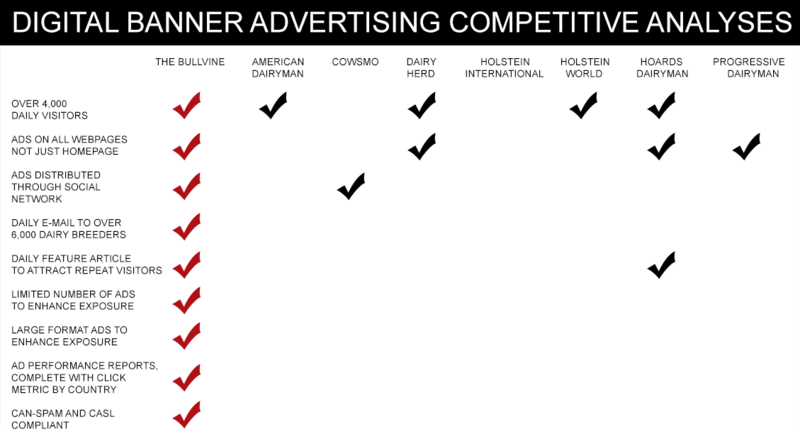 The Bullvine attracts a wide range of dynamic and influential audiences across the dairy industry. So when you pair your brand’s message with our content, you get powerful results. It’s that simple. Don’t wait contact us today about how you can generate the greatest impact with your marketing budget.